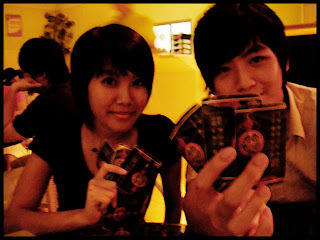 He tried to cover his unwilling face with those cards... LOL! About my holidays in Kay Bee? I'll update it once i got the photos, k? I'm really sad to leave!! !